I believe that nothing really feels strange, or awkward, or wrong in our native society as long as we have a glimpse of other systems, other possibilities, other ways of how people in different societies go about their business. To see examples of differences from our own is perhaps the greatest initiator of change, hopefully development, that’s why some systems even try to exclude their members from getting information about these differences. That may partly be the reason why in countries under the socialist system for decades after WWII language education was not a priority, to say the least. Although half a century before, in the years of Hungary being a semi-independent and large part of the Habsburg empire, the country had largely been multilingual, the loss of a majority of its territory meant a loss of most of its multicultural, multilingual peripheries, and what remained is the mostly pure Hungarian core. Or rather, it was made to seem pure, because even within this territory, there remained various peoples of ‘ethnic’ origin, except that they were largely driven under the ground, or out of sight. This happened to language education too. The system was completely revamped to avoid the impression that there was much culture and diversity outside the ‘iron curtain’. Where in secondary education there used to be Latin, sometimes Greek, almost always German and often French, especially during the empire period, after the victory of socialism, there remained Russian as the sole language to be studied by all kids from the upper half of primary school, which meant around the age of ten. From secondary level, which in Hungary starts after 8 years of primary round age 14, Russian was compulsory, and in ‘gimnázium’, the kind of school for the brightest and equivalent of the grammar school in Britain, kids could choose to study English or German, if fortunate. Mind you, this was not a country of the darkest parts of the socialist-communist part of the world, but I keep wondering until today where those teachers really came from who took up teaching us languages they themselves may have never encountered in real life, except some German teachers who could travel to East-Germany, and those English teachers that could manage to visit Britain on a 50-dollar allowance form the government every three years, if you were not considered a ‘class enemy’, in which case you couldn’t get a visa, or couldn’t even teach. On the other hand, we students hardly ever had the opportunity to hear or meet real native speakers of those languages. Radios couldn’t be tuned to the BBC well at all, and television was very new even in the 70’s. Even so, we saw the beginnings of English language teaching programmes imported to Hungary. Thus our almost exclusive source of knowledge was the teacher. I myself had never met a live native speaker until university and never set foot on British soil until well after graduation. The most difficult result of this to get rid of was the heavily accented pronunciation and the difficulty understanding natural, everyday speech. Language teaching and study possibilities didn’t change very dramatically with the abolition of socialism and opening up of the borders. Possibilities to travel did multiply, but alas! our financial resources hardly did so. But at least teachers could start to travel to summer courses, visit each other in ‘the old block’ at least and to a unified Germany, and the coming of the British Council and a number of international funds made it possible for the elect few to be funded for courses or even a whole year of studies in the West, which benefitted some of us. In schools, Russian was abolished overnight, leaving an army of teachers without a job, but with the possibility to re-train to teach a western language, an arduous process for most middle-aged and aging ‘babushki’ though it was, most managed somehow. The quality of teaching English must have suffered, though, with the sudden widening of possibilities to study various new languages, because, obviously, the new re-trained teachers were not only not at the pinnacle of teaching methodology, but also themselves often in the middle of learning the languages concerned. After a few years of stumbling, and setting up enthusiastic new institutions to cater for the new pedagogical needs, then suppressing those institutions to suit the old system in order not to give too much new thought and quality, the university system widened its admittance from below 2% of school-leavers to near-western levels, above 30%, but mostly without getting substantially greater resources. Financial means, teaching space and teacher base has hardly grown in tertiary education for more than two decades, except for the introduction of electronic administration, which swelled the anarchy in the area of course organizaton and has taken its toll on quality of instruction attainable. As was already suggested, secondary school starts around age 14 with the more practical technical school and schools for various trades up to grammar schools. Education is, like in the Netherlands, compulsory until the age of 16 with a low-level graduation exam, but at most technical and grammar schools, students go on to study until 18, when they can sit for higher-level school-leaving exams, ‘érettségi’, which is absolutely necessary to be admitted to university of any kind. The quality of the necessary examinations is on the decline, but in Hungary, the HBO-style, shorter type of higher education is of much lesser importance than in the Netherlands. Thus university studies last about 5 years, except for medicine, where they take 7. Obviously, the number of languages and teachers to teach them has greatly grown in the school system as a result of the much higher numbers of graduates. This leads to an oversupply in teachers, which is coupled with an uncertainty about the quality of their background and abilities. This problem aside, the pupils of today are provided with at least three language classes per week in at least one electable language even in technically oriented education. The most popular languages are English, closely followed by German, then with some French, Spanish or Italian, and Russian is also staging a come-back. On university level, almost everything can be studied. Ancient, dead languages don’t feature in the country. Although a few people study Latin as a major at a few universities, besides this, Latin is only taught for students of medicine and law, the latter only for a year or two, and then forgotten. Thus Latin is almost non-existent in schools. 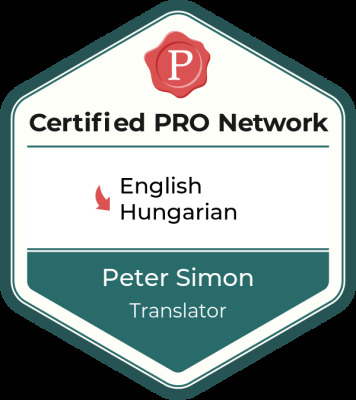 On the other hand, modern languages are supported very much outside university too, by the British Council, by the Goethe Institute, the Italian Institute and the like, but mostly only in the capital, Budapest. As this city is, for reasons of history, over-sized, it concentrates a larger share of the population, and with it of financial, cultural and educational resources, than may be considered healthy. Saying this, I’m also saying that the quality of teaching in the country also depends on its geographical situation, so expect much better background in the capital than in country towns. However, for social reasons, teaching may be much more rewarding in the latter, with much less social unrest in rural schools than in the capital, where students are more exposed to western patterns of behaviour, which they take to school with them. Teaching is becoming just as difficult in Hungarian schools as anywhere in the Western World. However, for language teachers from abroad, this country still seems to be a bit exotic, so it provides an opportunity for adventure for, mainly, young teachers from America and Britain, and some German teachers as well. Nobody who ventures to come to teach English or German speaks Hungarian on arrival, and it’s not necessary either, because they are guided and helped by their Hungarian peers at school as well as in their more private life while with the particular school. For the pupils, this provides an excellent opportunity to get to know the culture of the guest teacher first-hand, learn the native sound and ways of speech, and also some fun to teach them a bit of their language, but the task of the guest teacher is not to learn the local language, which is far to difficult anyway, but to teach their own to the local kids. This is the second best way of learning a foreign language anyway, next to doing it while living in the country of the target language, which can’t be an option for the masses anyway. The life of a teacher as an employee and private person in Hungary is not easy. Average incomes in the country are about a fourth of those in Western Europe, perhaps an eighth of those in the richest countries, but teachers’ salaries here are way below the national average, compared to the above-average levels in the West. Thus the gross salary for teachers with degrees is around 600 Euro according to recent data, the net income is usually around 400 per month. There are variations, but the grid is quite flat and the highest salaries are perhaps not more than 40% higher than the lowest, except for university lecturers. Compare this to the ‘CAO schaal’ of approximately between 2400 and 3700 Euro per month in the Netherlands, of course depending on ‘diploma en ervaring’, and we’ll instantly see the reason why someone would like to ‘go west’ to teach. Most teachers, of course, have no such intentions, let alone chances, because of the nature of their subjects, but for those with outstanding language skills, teaching their subjects in English in IB-schools around Europe is a great possibility but for the fact that vacancies are limited in that area. An important part of my analysis of the state of language education should also touch on methodology. As expected from the lack of Latin, instruction on methodology at university follows the influence of the modern methodology of the language involved, which is most apparent with English. British linguistics and methodology inundate courses, just as it happens with teaching material for schools. The country imports not only ideas from the international best, but the commercially available as well. Older lecturers not always teach based on these ideas, but the teachers, working with the modern means, are more or less made to make use of them in practice. The unfortunate system of dubbing films, scarcity of English-speaking TV-channels, and the distance from English-speaking countries also make it imperative for teachers to rely on imported listening materials, and on insisting on students’ speaking activities in classes. With institutional help from the BC and teachers’ associations, attending courses, conferences, discussing ideas with each other and with the international community is wide-spread, though not everywhere. School exchanges with schools in the neighbouring countries and with German, or even with British or Dutch schools is also frequent. The big difference, as far as I can see, is that Dutch teachers don’t seem to do anything else internationally: at the numerous events I’ve taken part, from Ireland and Romania to Croatia and China, the one nationality I’ve never encountered from Europe is Dutch. So, where are the teachers who are, on paper, responsible for the high levels of English skills in the Netherlands? After years of encountering the sort of answers I keep receiving for my applications, if any at all, my answer, provocative as though it seems, is that Dutch English teachers wouldn’t benefit from and wouldn’t have anything to share with English teachers from other countries. They have their own ways, and those seem to work well enough for the country, so what else would they want? Not developing a system, though, carries the danger of being left behind. But with the country’s proximity to Britain and availability of the British media in the country, even this doesn’t seem to be a danger. Also, with no real contact with their peers from outside their system, everything seems to be right, doesn’t it?